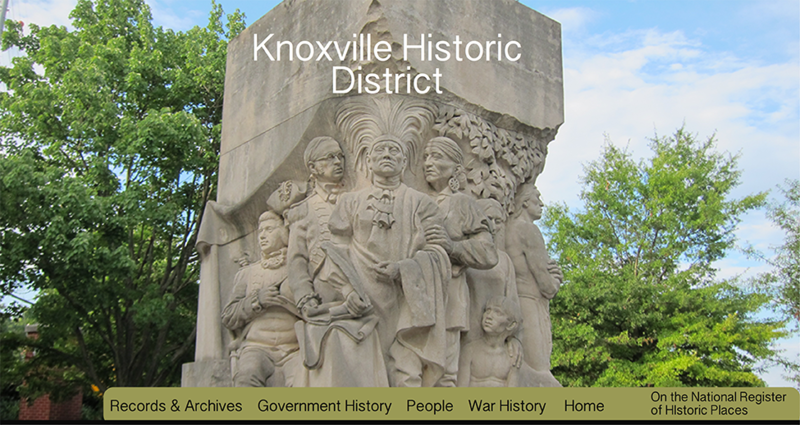 Knoxville Historic District - Dating back to 1786, Knoxville history is rich. It began with the establishment of James White's Fort, was chosen as the capital of the Southwest Territory in 1790. Dating back to 1786, Knoxville history is rich. It began with the establishment of James White's Fort. The fort was chosen as the capital of the Southwest Territory in 1790. Knoxville was named for Secretary of War Henry Knox. The city became the first capital of the State of Tennessee in 1796 and grew steadily during the early 19th century as a way station for westward-bound migrants and as a commercial center for nearby mountain communities. The arrival of the railroad in the 1850s led to a boom in the city's population and commercial activity. Knoxville was bitterly divided during the Civil War. Confederate forces laid siege to the city in late 1863 but retreated after failing to breach the city's fortifications. Following the war, business leaders established major iron and textile industries in Knoxville. Knoxville grew to become the third-largest wholesaling center in the South. Tennessee marble, extracted from quarries on the city's periphery, was used in the construction of numerous monumental buildings across the country, earning Knoxville the nickname, "The Marble City." Reference: History of Knoxville, Wikipedia. Retrieved: 25 October, 2018. © 2018 by KnoxvilleTennessee.com. All rights reserved.